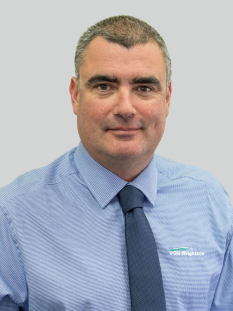 Peter Lewis joins the Southland rural Real Estate team from PGG Wrightson Rural Supplies, where he was a technical field representative for five years. He brings to the team a wide range of on-farm experience at a technical sales level, and has an excellent understanding of all aspects of land production. After leaving school and then a few years in the Navy, Peter graduated from Otago University with a Bachelor of Commerce (Economics) in 1998. In the years since then, and still currently, he has had his own business interests throughout Southland. A strong focus on sales and relationship building, along with agribusiness and business knowledge in general, are his key strengths.